Explains what Rapid Server Setup is, and how it can be used. 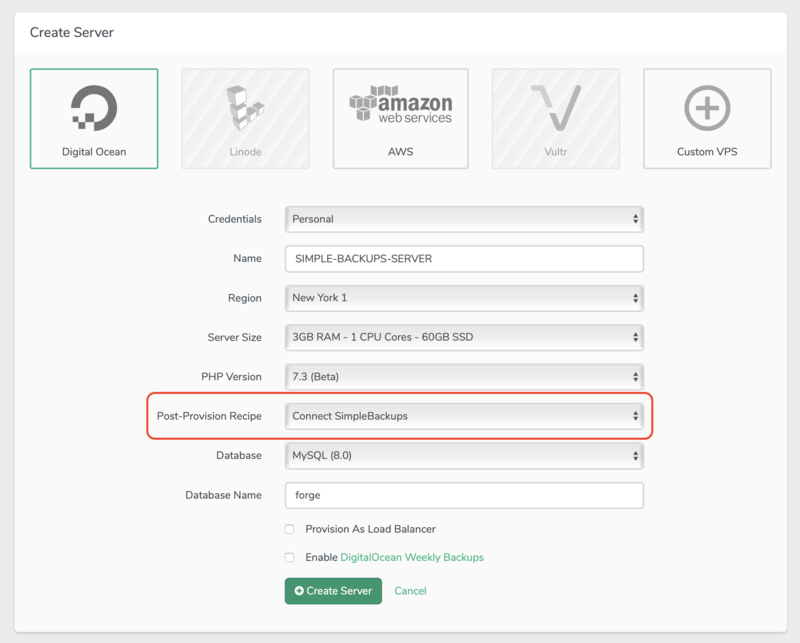 Rapid Server Setup allows you to magically connect SimpleBackups to newly provisioned servers on AWS EC2, Amazon Lightsail, DigitalOcean, Laravel Forge, ... you name it. 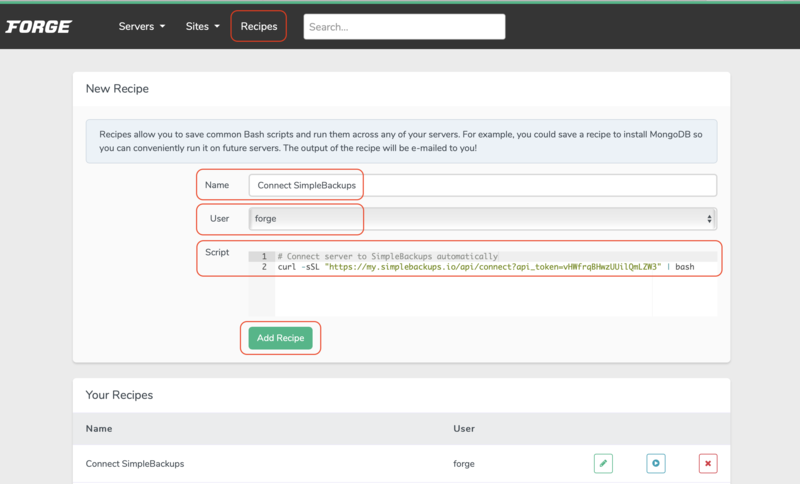 We will be creating support articles for other cloud platforms based on requests. Don't hesitate to reach out if you need any help!